MONDAY, Sept. 8, 2014 (HealthDay News) -- Men who smoke before becoming a parent may put their children at increased risk for asthma, a new study suggests. 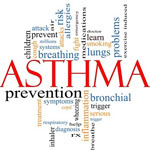 Researchers analyzed the smoking habits of more than 13,000 men and women, and then looked at the incidence of asthma in their children. The results showed that asthma was much more common in children whose fathers were smokers before conception. A child's risk of asthma increased if the father smoked before age 15, and the risk grew the longer the father smoked. While the finding showed an association between a man's smoking history and asthma risk in his children, it did not prove cause-and-effect. There was no association between a mother being a smoker prior to conception and a child's risk of asthma, according to the study that was to be presented Monday at the European Respiratory Society meeting in Munich, Germany. "This study is important as it is the first study looking at how a father's smoking habit pre-conception can affect the respiratory health of his children," Dr. Cecile Svanes, of the University of Bergen in Norway, said in a European Lung Foundation news release. "Given these results, we can presume that exposure to any type of air pollution, from occupational exposures to chemical exposures, could also have an effect. It is important for policymakers to focus on interventions targeting young men and warning them of the dangers of smoking and other exposures to their unborn children in the future," Svanes added. Animal studies have suggested that a father's exposures before becoming a parent can harm his offspring, the researchers noted. Research presented at meetings should be viewed as preliminary until published in a peer-reviewed journal.